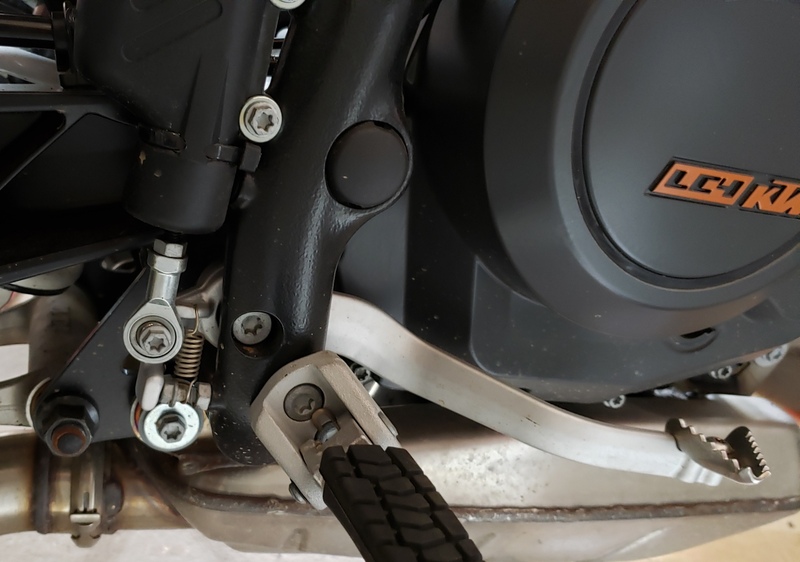 Was told yesterday the Sato rearsets wont fit on a 2017 Duke 690? Is yours an R model? Does it have ABS (I think all 2017 are ABS) ? Mine is not an R and it has ABS. Any idea why Sato is not advertising these will fit after 2015 because of the ABS? Is the rear brake MC is different between ABS and non-ABS, R and non-R? Could someone send me a close-up pic of the brake side Sato rearset, mounted on their bike (2017 Duke 690 ABS, not an R model). Last edited by silverSurfer; 04-02-2019 at 08:12 AM. photo on a 2017, anyone? Still trying to find a photo to show the Sato rearsets will work on an ABS 2107 Duke 690. Can someone post a pic of the brake master cylinder side? I think the ABS MC might not be the same, and thus not work with the Sato rearsets for the brake side.. Here's a pic of the 2017, ABS, USA model (not R). Does this look the same as a 2015? Thanks. 11 54603069000 SWIVEL HEAD M6 FOOT BRAKE LEV. 21 54513038000 BRAKE CYL. PROTECTOR "BREMBO"